The fruitful season has begun. The wild blackberry vines around the lake are covered with flowers and a few berries on the mulberry trees near the north side of the house have already started to ripen. Without a winter frost to deter growth, our papaya trees continue to produce large, orange-fleshed fruit and the carambola tree is covered with clusters of shiny, yellow starfruit. 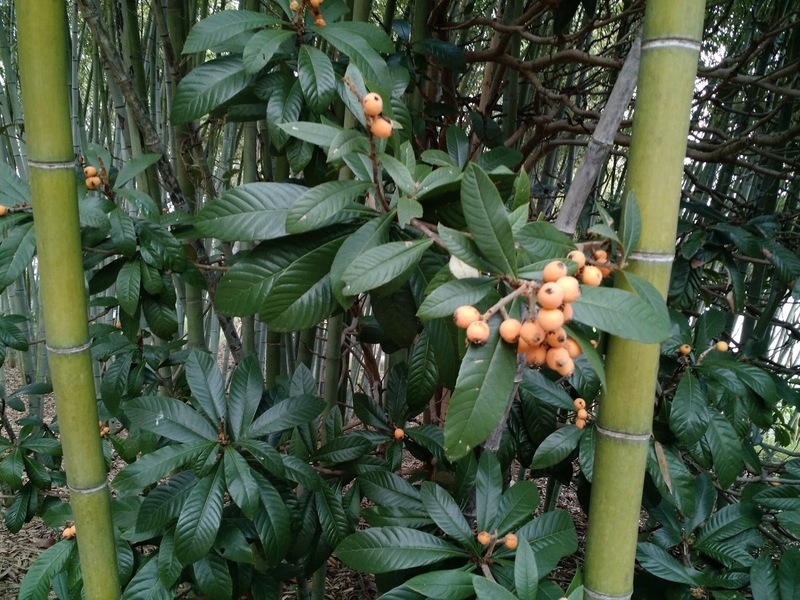 In many yards, loquat trees, which start producing in February, are reaching the end of their season. 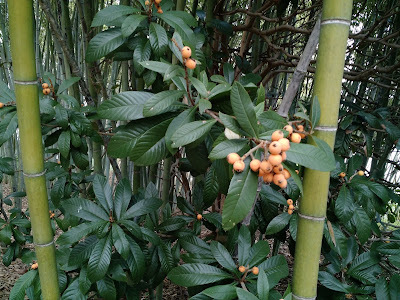 But at our house several late blooming varieties are still bearing a crop of apricot-colored ‘Japanese plums’, another name for these underappreciated landscape edibles. In the orchard, our nectarines, peach and plum trees are flowering, but I’m not expecting much of a harvest. 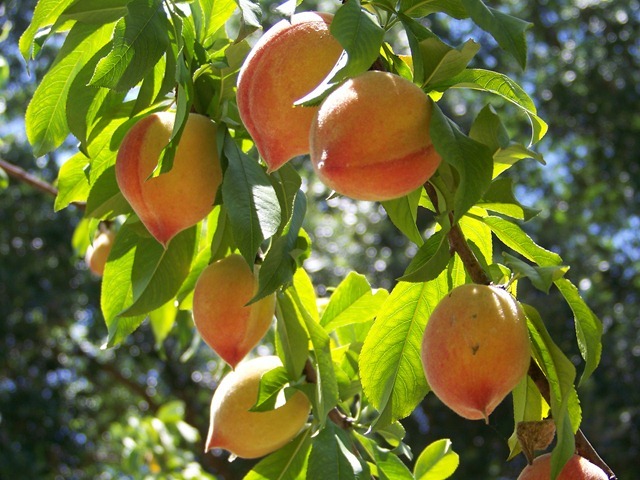 In order to produce reliable crops, stone fruits require far more attention - yearly pruning, fertilization and protection from pests - than Ralph and I are willing to provide. Considering the amount of neglect they receive, any fruit those trees give us will truly be a gift. But some types of plants actually thrive on neglect and those are the kind of plants I especially love. My Surinam cherry bushes, for instance, look more promising now than ever. In the dozen or so years since I first planted them beneath the shade of a live oak along the driveway, I’ve never seen as many flowers as I’m seeing this year. If even a fraction of those flowers develop into fruit, I’ll be on Surinam cherry overload when picking time rolls around. Pineapples are another fruit requiring little if any attention. Lately I haven’t been eating many pineapples but for several years a few slices of pineapple were a daily part of my diet. I’d buy a pineapple at the store, slice it up and save the crown for planting. The evidence of my consumption can be found tucked under rose bushes, hidden beneath orange cosmos flowers and scattered haphazardly elsewhere around the yard. The lobbed off top would find purchase in the sandy soil and I’d forget all about it until one day while out picking flowers for a bouquet or taking a stroll around the yard, I’d notice a young pineapple starting to develop. A few months later a homegrown pineapple would be ready to pick. Pineapples are a type of bromeliad, and like other members of the Bromeliaceae family, they have minimal soil and water needs. I grow them by simply inserting a lobbed off top into a semi-sunny, dry location and then let nature take charge. Over the course of a year, the crown develops into a mature plant producing a brand new pineapple. Delicious to eat and ridiculously simple to grow, just the way I like gardening to be. During the years when our four children were young we never had enough fruit to fulfill the needs of our fruit-hungry family. Although we planted our own bananas, pineapples, peaches, plums, nectarines, figs, loquats, persimmons, starfruit, Surinam cherries, blackberries, mulberries, oranges, pomegranates, grapes and avocados, some edibles produced better than others and crops varied from year to year. Yet regardless of how great or small a harvest might have been, when the kids were young no harvest was ignored. We picked them all, savoring the flavor of homegrown fruit. What a joy it was to experience. These days, with only two of us at home, Ralph and I are surrounded by an excess of plenty. Fortunately, my daughter Amber lives nearby and I can mail the occasional “remember your roots” packages to our faraway offspring. But as much as it helps to send care packages to my kids, it still troubles me to see fruit falling to the ground. These days, our fruitful obsession is feeding the birds, squirrels, feral hogs and other wildlife as much - if not more - than the humans who planted them. But I suppose that’s the way some things go. We plant. We grow. We harvest what we sow. We share when we can with those in need and if some of those recipients happen to have feathers or fur, so much the better. At least the crops will not go to waste. It’s the start of Central Florida’s fruitful season, for all of nature’s creatures.